What do garden snakes eat in your garden? Why do they want to be there? You may wonder these things when you see them slithering around and worry. However, garden snakes are harmless to have in your garden. They will bite, however, if you corner them. It's best to let them alone to do their work. Trying to catch them may not only get you a nasty bite, but they emit a nasty odor as well. 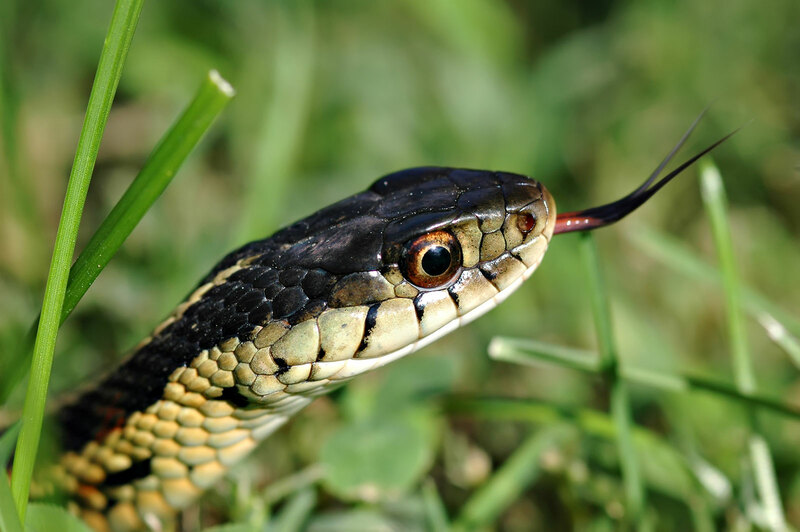 Garden snakes, also known as gartner or garter snakes, can actually help your garden by eating pests, which reduces the need for chemicals. Typically, they hunt in the early morning, late afternoon and early in the evening. Snails can damage your garden, especially if you grow salad greens. Garden snakes will take care of the problem for you. Another menace in your garden, grasshoppers are a nice snack for some types of garden snakes. Most homeowners are happy to get rid of mice. The garden snake is happy to oblige. Slugs are another answer to the question, What do garden snakes eat? Garden snakes also eat frogs, toads and salamanders in your yard and garden. Some gardeners may not like this since frogs and toads eat insects. Others, however, are pleased to be rid of the amphibians. Young garden snakes eat worms until they are big enough to eat larger prey. If you have a pond in your landscape, you may find garden snakes eating the small fish in your pond. Often, homeowners do not appreciate this. If you must get rid of garden snakes, please do so humanely. They do their part by getting rid of common garden pests and are an important part of the ecosystem.